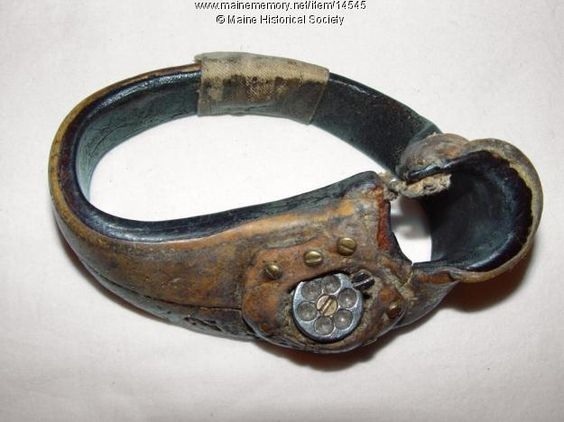 The earliest metal finger protectors that we find were in China, where steel needles originated. These took the form of split thimble rings, like the one in this picture. The first solid thimble ring that I have been able to locate is a 2nd century BC Scythian thimble. 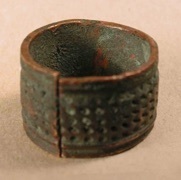 Thimble rings continued to be used alongside thimbles. Some were solid and some had soldered seams. I have to admit. 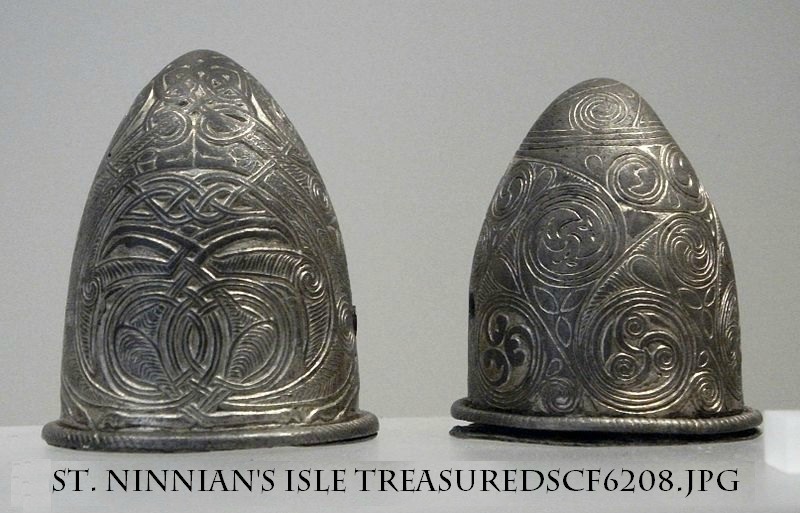 I was really delighted when I saw my first pictures of some of the non-European thimbles. I love the shapes and designs! 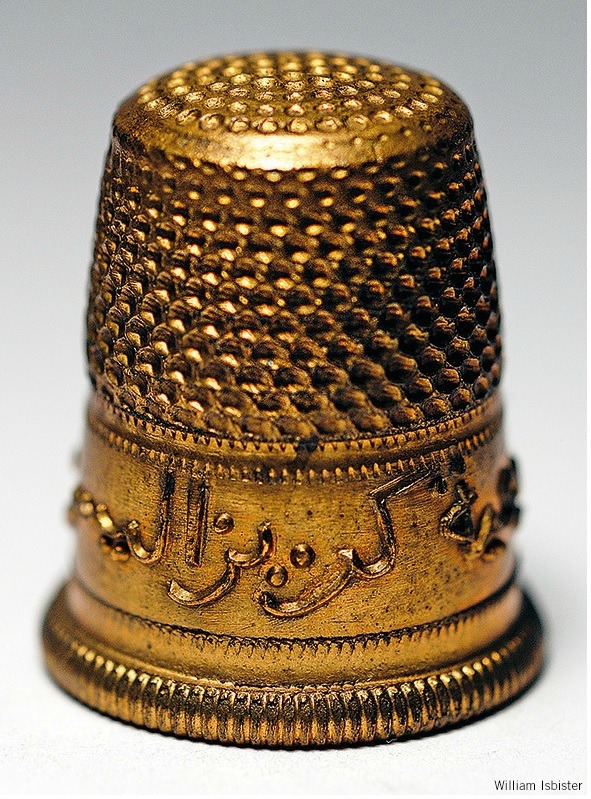 The thimbles created in the Islamic empire are generally divided into three categories: Abbasid-Levantine, Hispano-Moresque, and Turko-Slavic. This is not a hard-and-fast set of categories, there are variations within each style, but sometimes categories are useful in order to gain a general understanding of a form. You can definitely see cultural influences in the different styles. 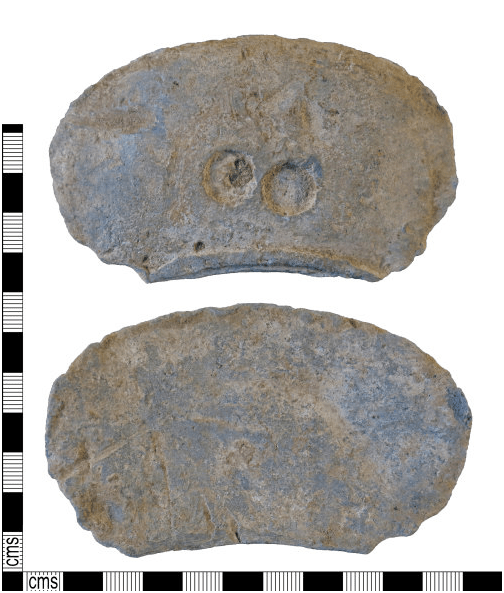 Abbasid-Levantine Thimbles are the earliest form of closed cast thimbles that we have good documentation for, dating from the ninth through 12th centuries. They are found throughout Asia Minor, particularly in Israel, Syria, Trans-Jordan, Iraq, and Iran. 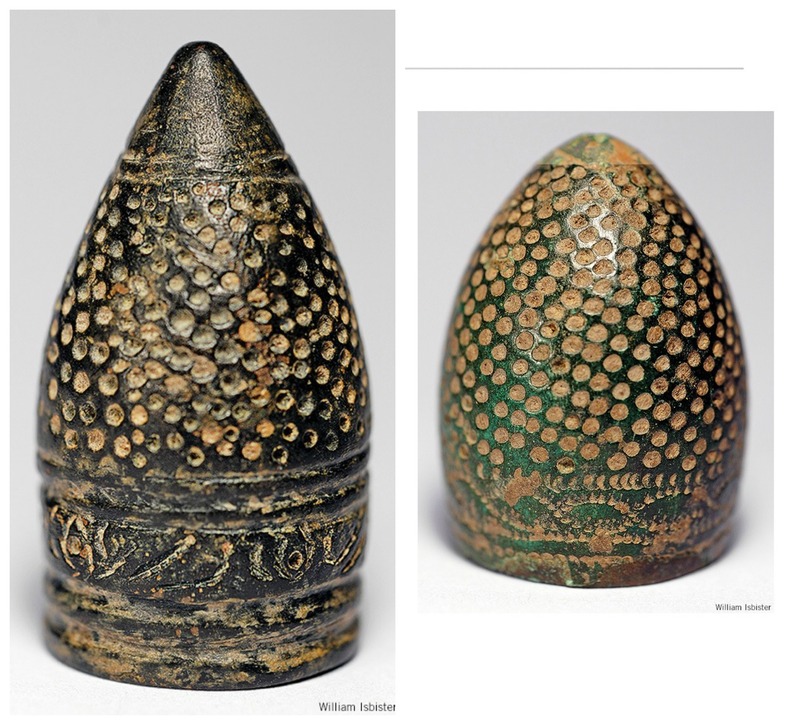 Some researchers believe that it was this type of thimble that was brought back to Europe by the returning crusaders. 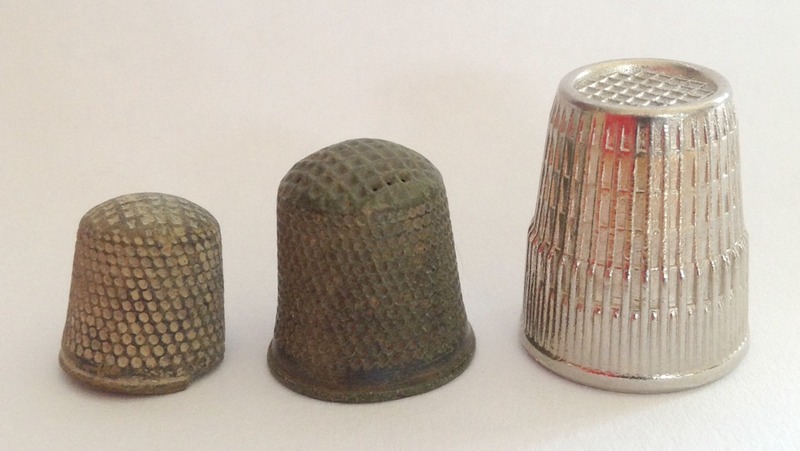 But it took a long time for thimbles to really catch on in Europe, and even longer in England. Hispano-Moresque thimbles date from the 10th to the 15th century. They are produced through lost wax casting and tend to be rather heavy. 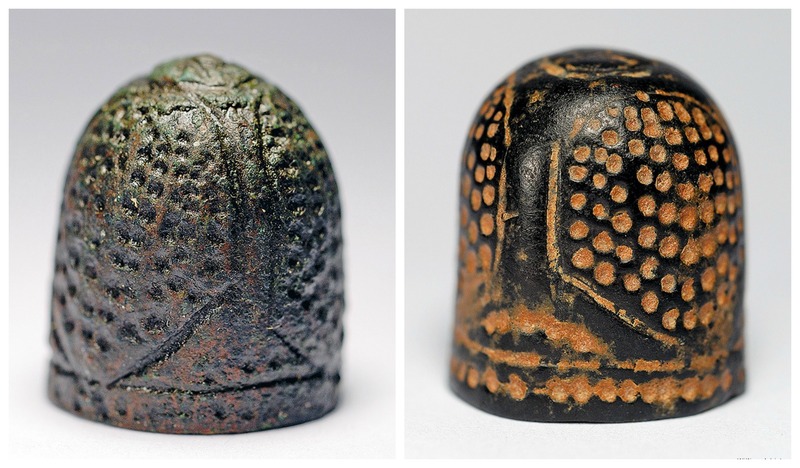 These thimbles are found predominantly in western north Africa and Spain, but have also been found in France and in Viking settlements as far north as Denmark. They have a pointed top and some people think that the dimples are actually carved into the wax models, rather than being hammered in after manufacture. 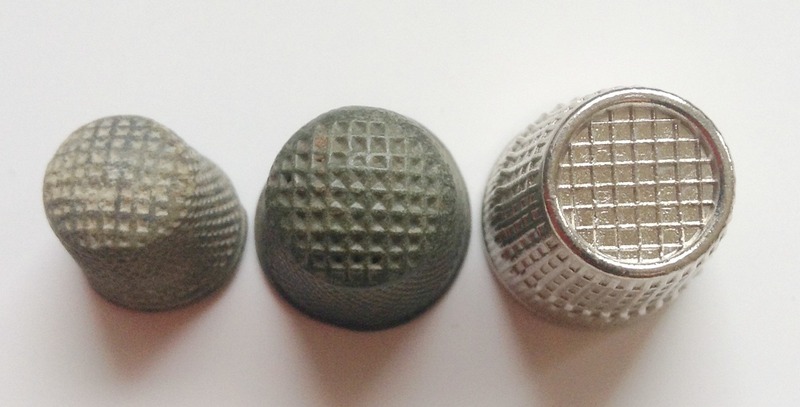 The bands of these thimbles are often decorated with engraving or stamped geometric or floral patterns. 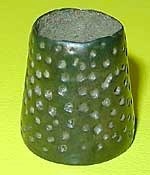 The Turko-Slavic thimbles are generally found in sites dating from the 13th through the 18th centuries. They are found throughout the eastern Mediterranean as well as in Bulgaria, Romania, and Hungary. 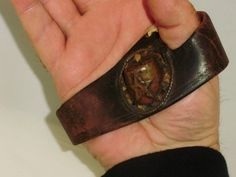 Most of them were cast in bronze, using the lost wax technique. Occasionally an iron thimble is found. They are characterized by their large bulbous shape and sometimes have a hole in the top. This picture demonstrates the style. The thimble on the right is iron. This brief journey through the world of thimbles and thimble rings has been an interesting research experience for me. Sooo much bad and out of date information, was readily available. even finding decent pictures, of anything other than my own, predominantly English, collection was a challenge. As a re-enactor specializing in pre-1600 studies I would be tempted to just use a thimble ring. That would be “safe” for just anywhere, except the Romans. But we can ask: Were there other sorts of needle pushers besides thimbles?